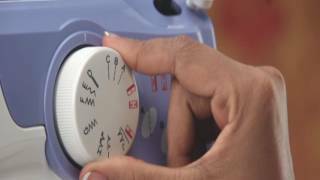 The Usha Dream Stitch sewing machine has four-step buttonholing, so you can quickly stitch buttons on shirts, dresses and coats. There is also a dial option for you to select your desired pattern. Auto tripping bobbin ensures that the thread is properly wound around the bobbin when you begin sewing. 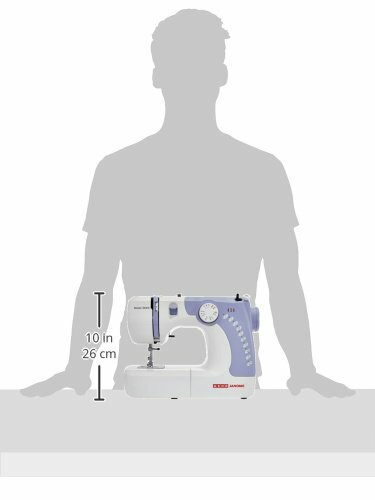 The lightweight Usha Janome sewing machine comes with a handle so you can easily carry it from one room to another. 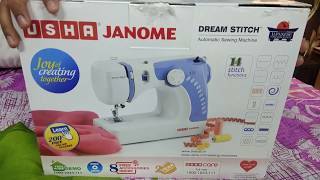 The Usha Janome Dream Stitch automatic zig-zag sewing machine has a compact size that easily fits in your cupboard or closet. 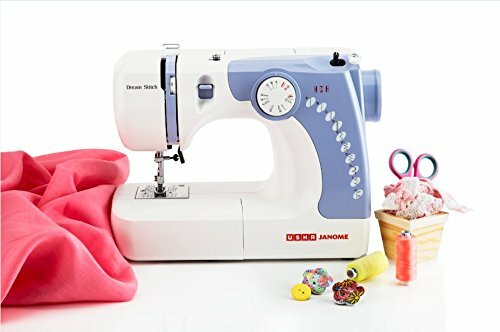 This compact sewing machine has 7 built-in stitches and 14 applications that allow you to explore various functionalities while sewing. 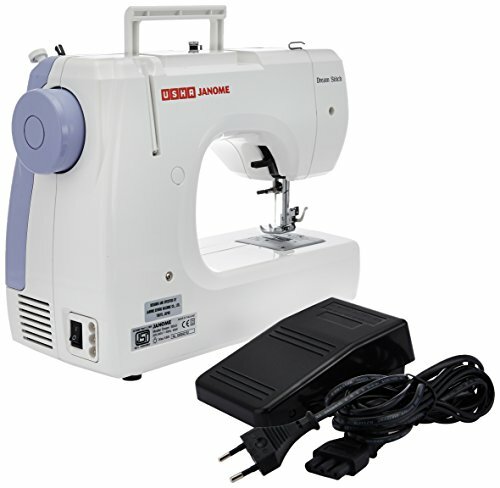 It is equipped with a sewing light, ensuring you get good visibility while sewing in dimly lit spaces. 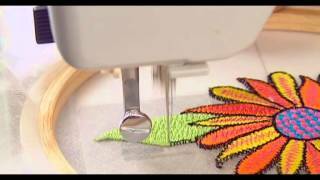 Moreover, the thread tension control makes sure the thread does not break while working on the machine. 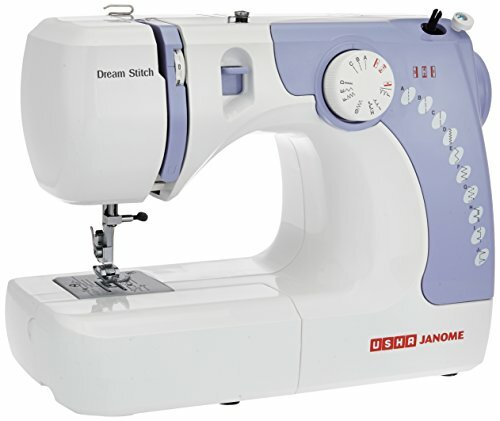 Usha Janome Dream Stitch sewing machine is a free-arm model that incorporates zig zag stitching as well. 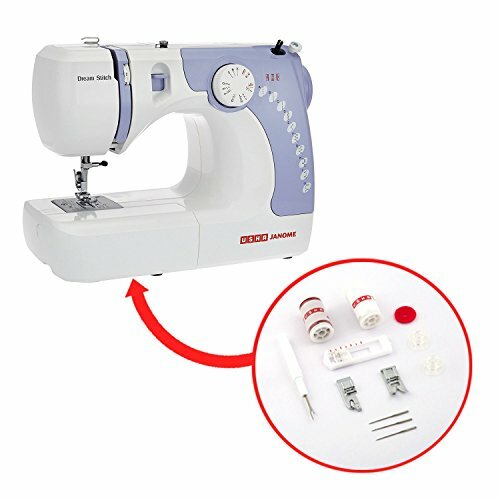 You can use this lightweight sewing machine for mending and stitching clothes of different fabrics in no time. Dream Stitch: Compact free arm zig zag machine with one dial for pattern selection. Stitch Functions: 7 built-in-stitches and 14 applications. Light Weight: Light weight with carrying handle. 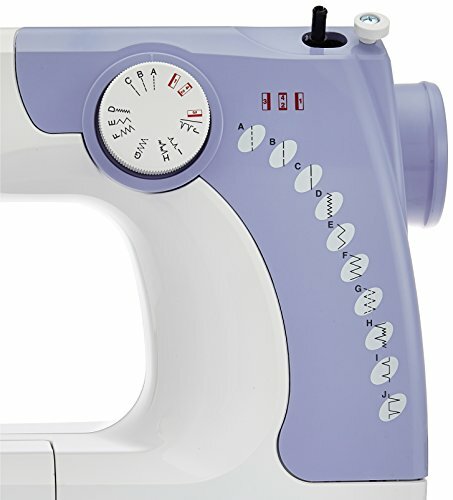 Pattern Selection: This machine has a colour coded functional face plate and two dials for pattern and stitch length selection. Bed Type: This is a free arm machine which allows for circular stitching.